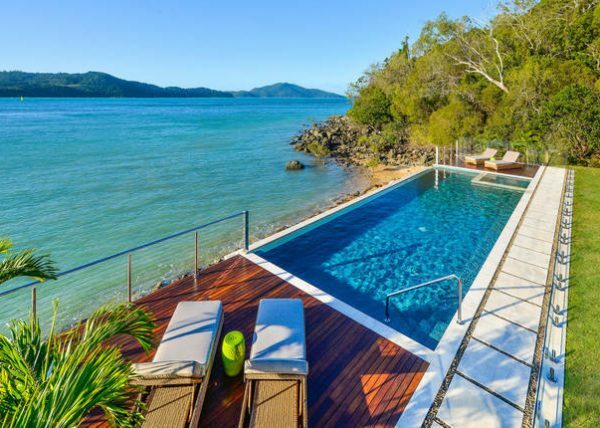 Welcome to paradise on Hamilton Island. This stunning 5 bedroom luxury home with private pool is new to holiday letting and has to be seen to be believed! The ultimate in luxury self contained accommodation on Hamilton Island. Walk through the front door and be blown away by the magnificent water and harbour views. Find out more. 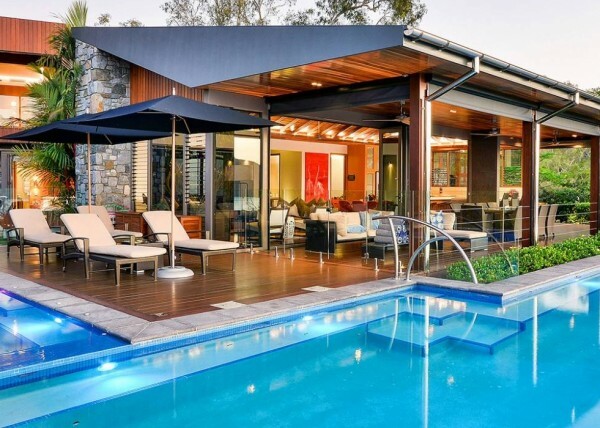 5 bedroom luxury home with wet edge pool and fantastic entertaining areas on both the upper and lower decks. Breathtaking water views. Accommodates up to 10 from $1100 per night. Find out more. 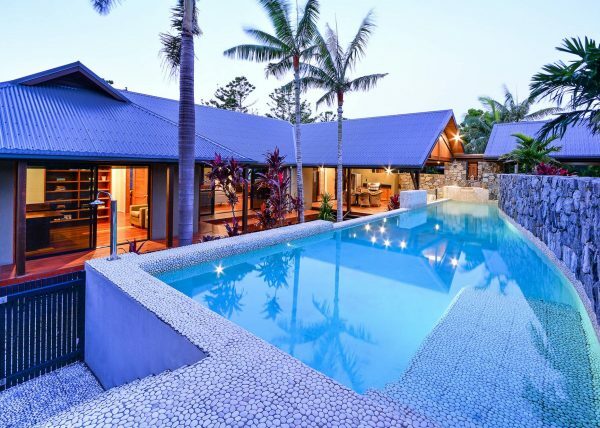 Villa Illalangi is for those after a true tropical paradise. 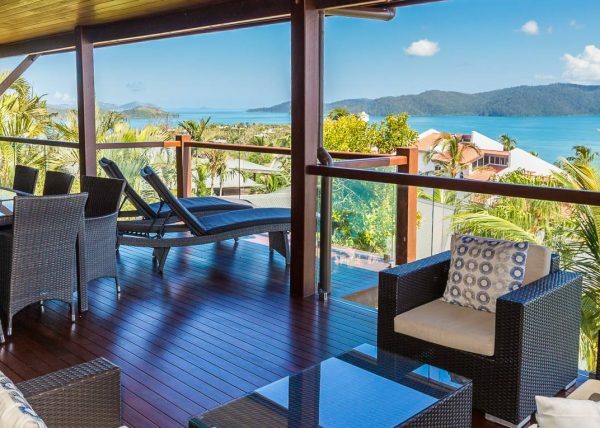 With a massive wooden deck and outdoor entertaining area, its no surprise that this is one of the most sought after homes on Hamilton Island. Find out more. 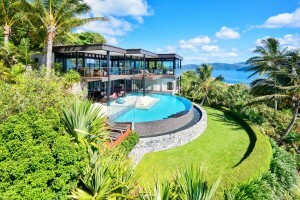 Unique home on Hamilton Island. 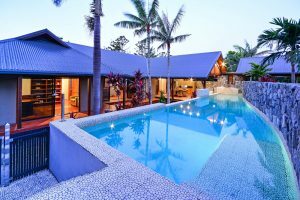 Private pool, tennis court and billiard table. 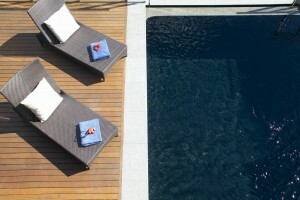 The enormous decking around the pool is a sunbakers heaven. 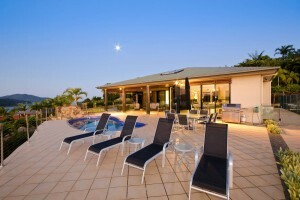 One of the best value homes on Hamilton Island. Sunset Point has everything you need - the outdoor area is a must see. Find out more. Nestled in a most romantic and secluded waterfront locality hidden away totally in harmony with nature. 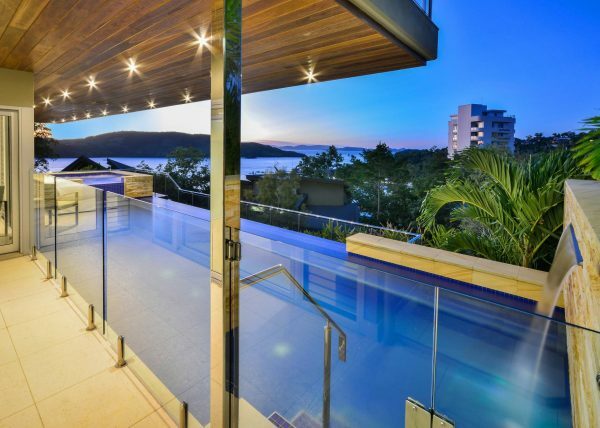 Overlooking Fitzalan passage and Whitsunday Island this exquisite mansion's only neighbours are the Kookaburras. Find out more. 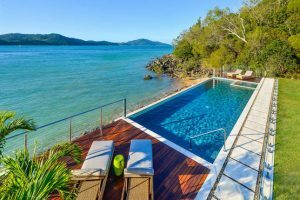 Situated on the secluded North East tip of Hamilton Island just three houses down from the world-famous qualia resort, this private home offers luxury and privacy enhanced by spectacular water views. AQUILA is harmoniously created to revitalise the mind, body and soul. At every turn this prestigious sanctuary presents an idyllic state of tranquility, indulgence and exclusivity with experiences tailored to match your every impulse. Find out more. 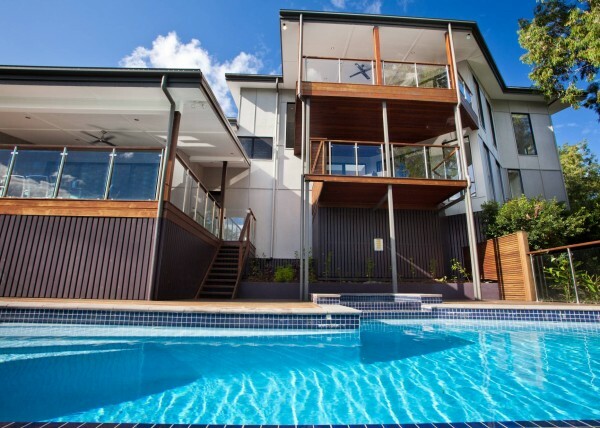 The Yacht Club Villas are highly sought after luxury waterfront accommodation on Hamilton Island. Perched right next to the Yacht Club, you will be blown away by the breathtaking views of Dent Island and the water. Find out more. 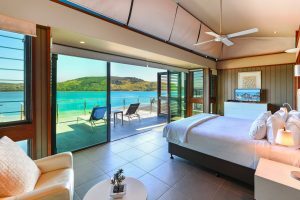 Trisara sets a new benchmark in luxury Hamilton Island accommodation. 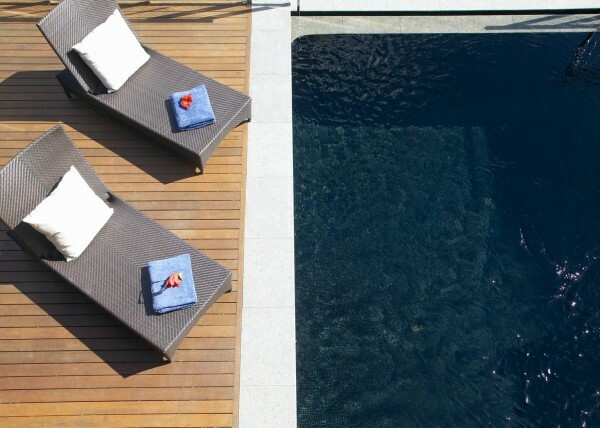 A 23 meter infinity pool is the entertainment and relaxation heart of Trisara. Crystal waters blend seamlessly with the Whitsunday passage, offering sublime views and a sense of tranquility it would be difficult to match anywhere in the world. Find out more. 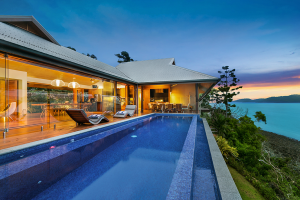 Located on the exclusive northern end of Hamilton Island, Infinity is a spacious 3 level luxury home that will sleep up to 14 in absolute comfort. 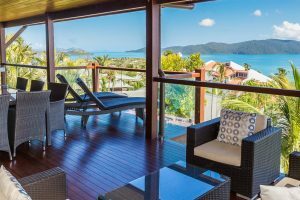 Perched on a hill overlooking the Coral Sea, Infinity is far enough to be out away from all the hustle and noise, yet close enough to the heart of Hamilton Island to be less than a 5 minute buggy drive to all the action. Find out more. 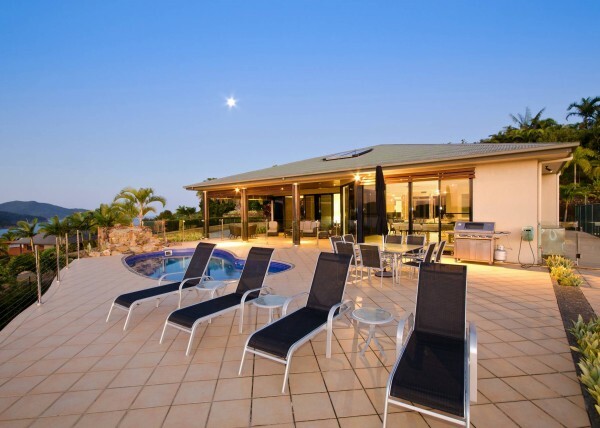 The Retreat is a 4 bedroom luxury home with its own private infinity pool. The elevated position of this exclusive home allows for the most stunning ocean views, especially at sunset! Find out more. 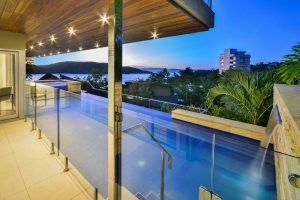 Surrounded by breathtaking views of Hamilton Island and the Whitsunday Waters, the Glass House is a grand, prestigious residence beyond compare. Walk through the front door to an amazing open plan area that is designed specifically to take in the breathtaking views. Find out more. Exclusive absolute waterfront resort style home sitting right on Catseye Beach. 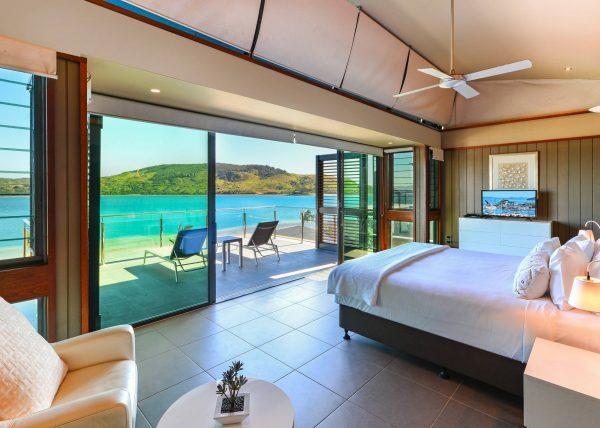 Designed by Chris Beckingham architect of Qualia Kahala is a tropical oasis with no par on the island. Find out more. Your choice of luxury home to suit your individual taste. 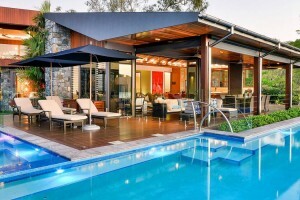 Multi-million dollar prestige homes – all with stunning water views, private pool and exquisitely furnished. 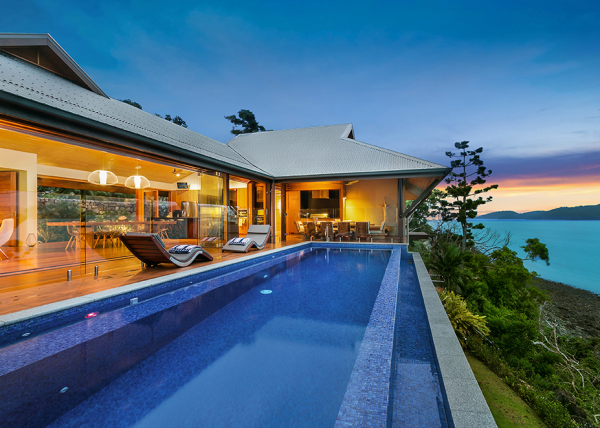 Discover the hidden luxury now available on Hamilton Island for your next holiday in the Whitsundays…. 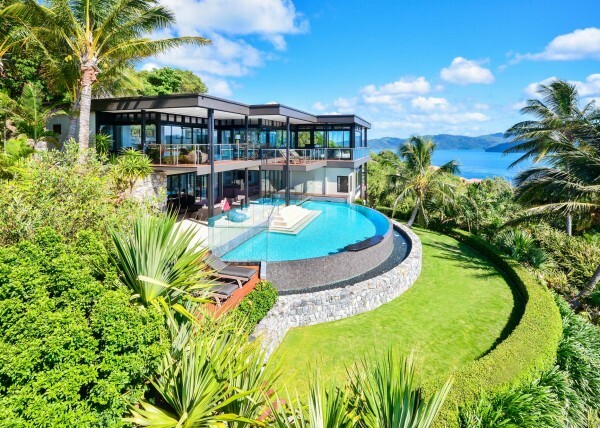 Hamilton Island Luxury Homes. Contact us 7 days per week to discuss the option to suit your requirements.